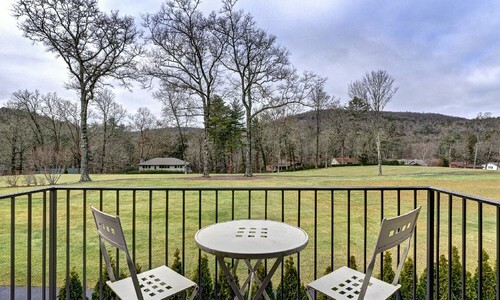 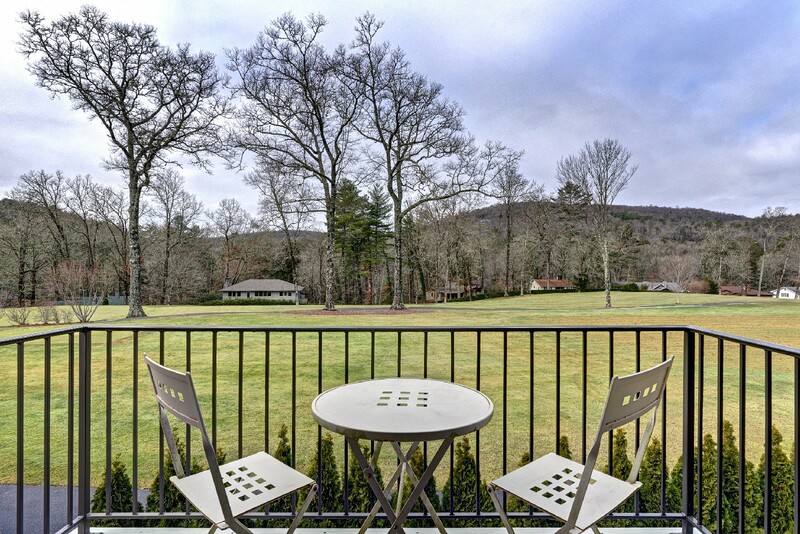 You Cannot Beat This Premier Highlands Country Club Location! 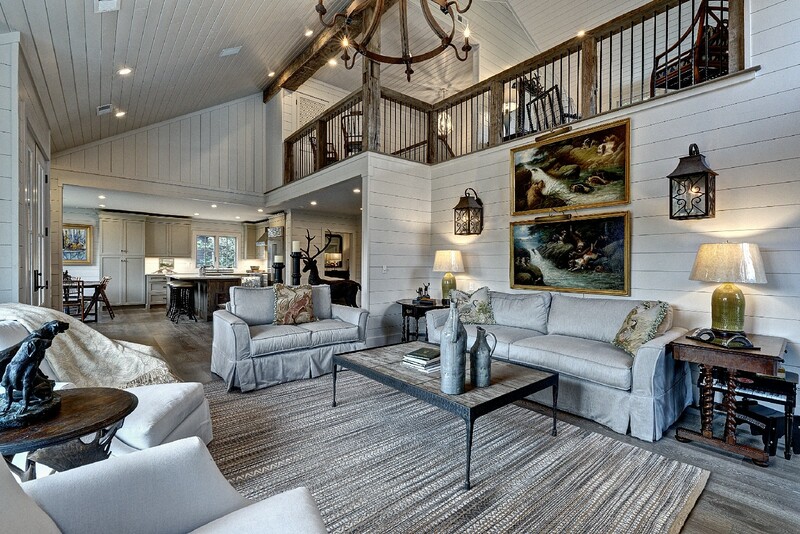 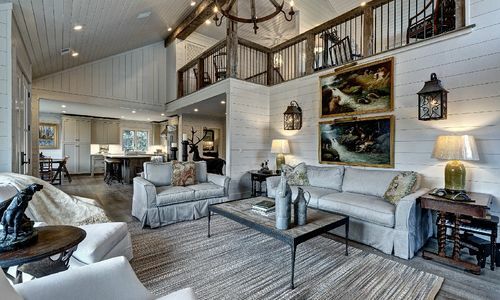 This is a dream home for golfers and croquet players. 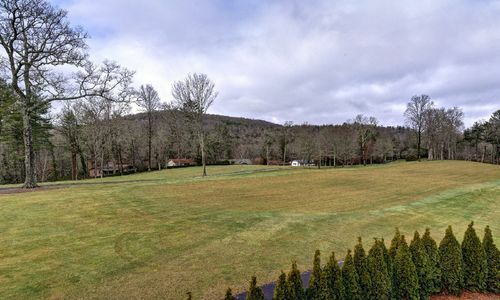 Located on the golf peninsula between the 8th and 9th fairways of Highlands’ oldest and most prestigious golf course, you will be steps from both the clubhouse and the croquet court. 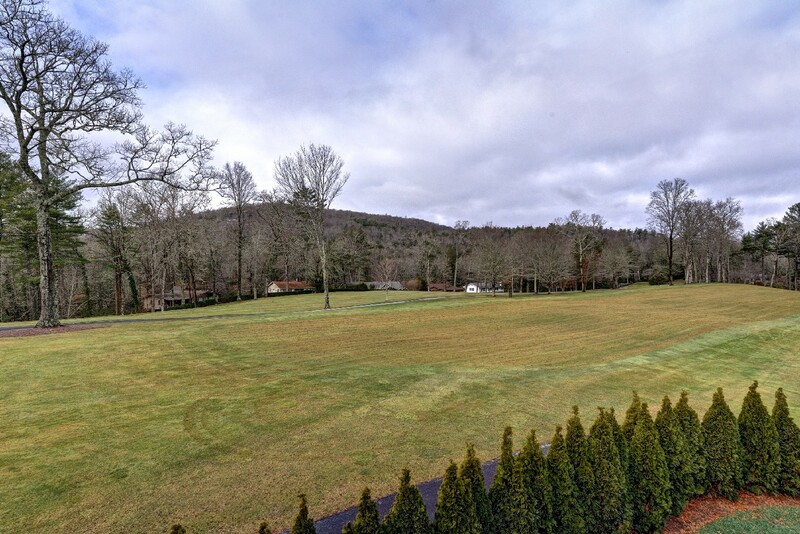 There is NO other property as unique as this showplace in all of Highlands Country Club. 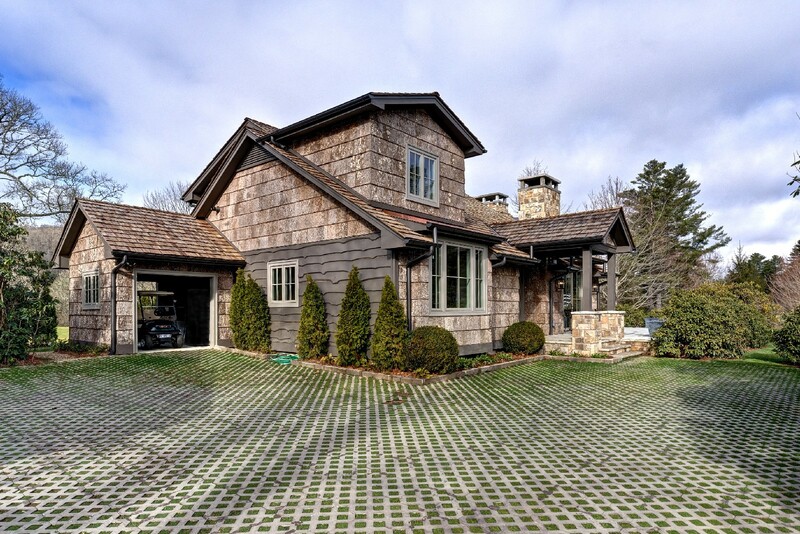 Beautiful new construction from the ground up with panoramic views of the 9th fairway and green surrounding both sides of the cottage. 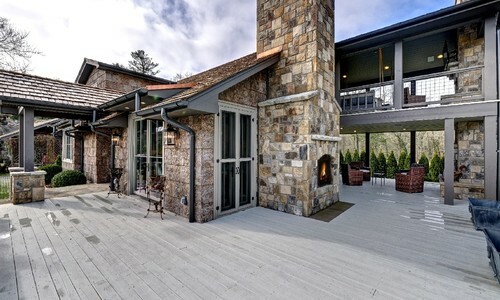 With pressure treated, hand split wood shakes on the roof, poplar bark and board and batten siding and stone accents, this home is warm and inviting from the moment you enter the driveway. 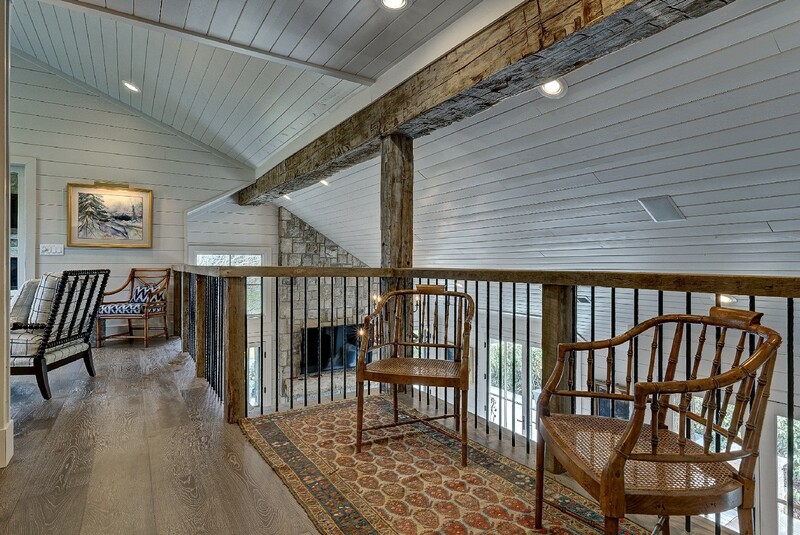 The main level of this stunning cottage has vaulted ceilings, a soaring stone fireplace and gorgeous reclaimed wood beams and railings. 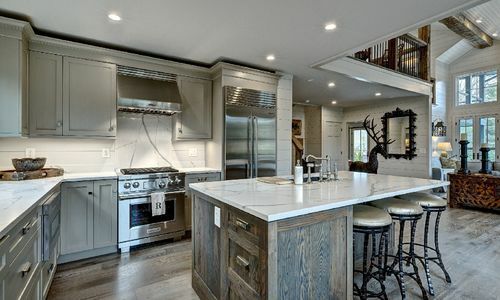 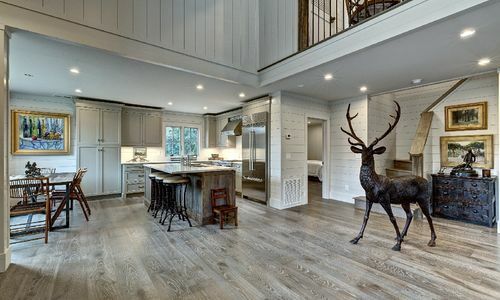 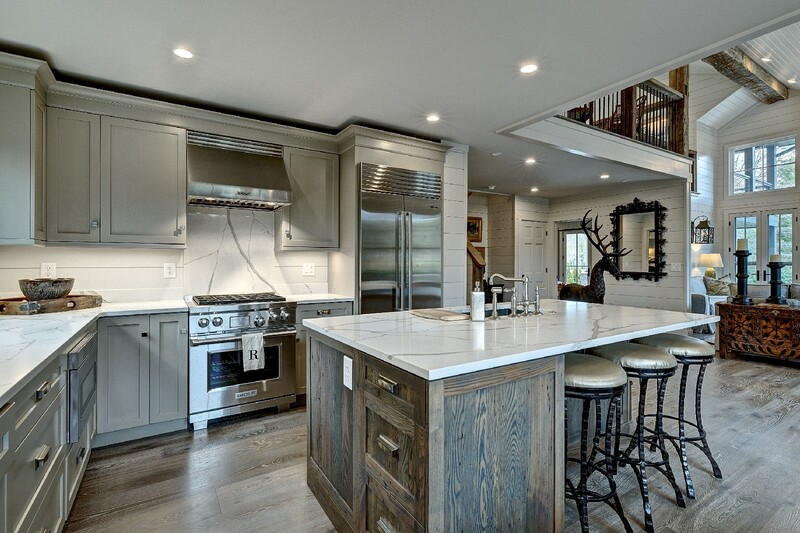 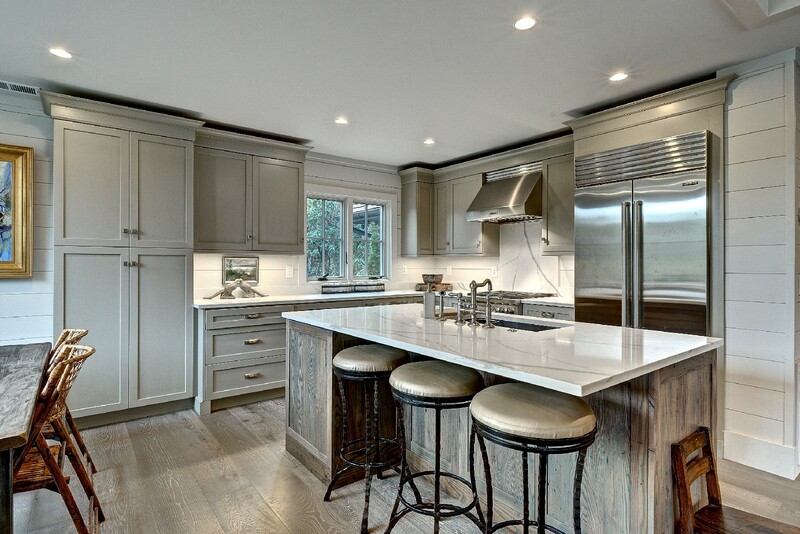 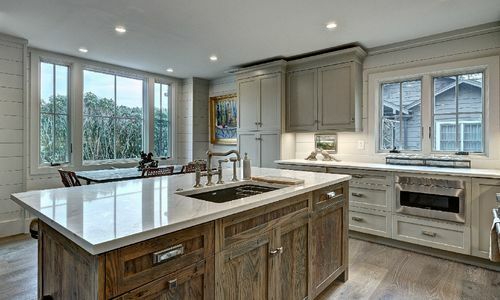 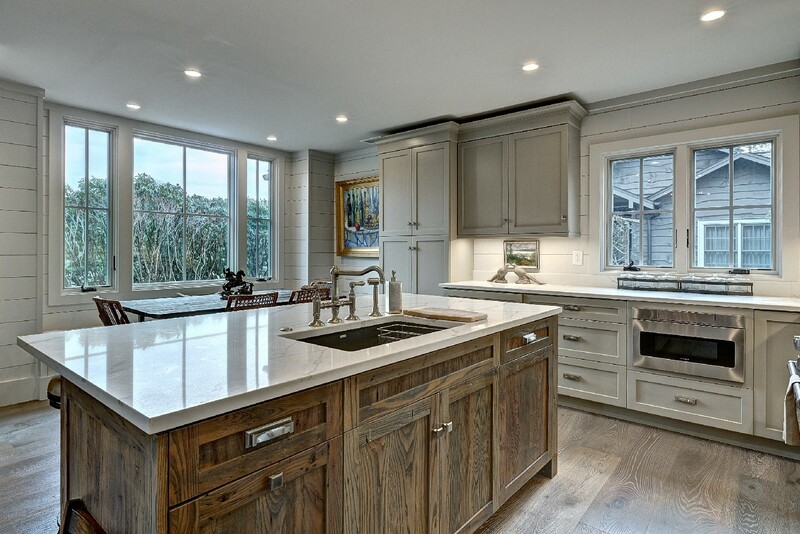 The upscale kitchen featuring quartz countertops, a dual fuel Wolf gas range, Sub Zero refrigerator and Bosch dishwasher as well as a large island is a home chef’s dream. 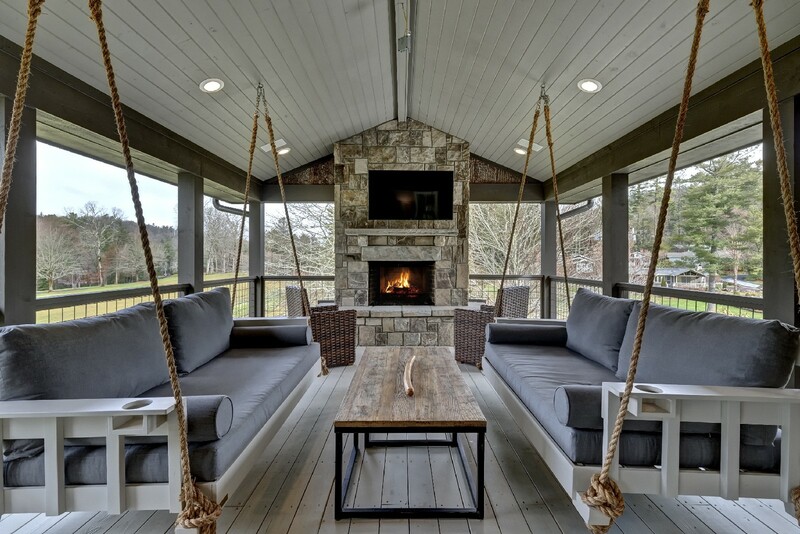 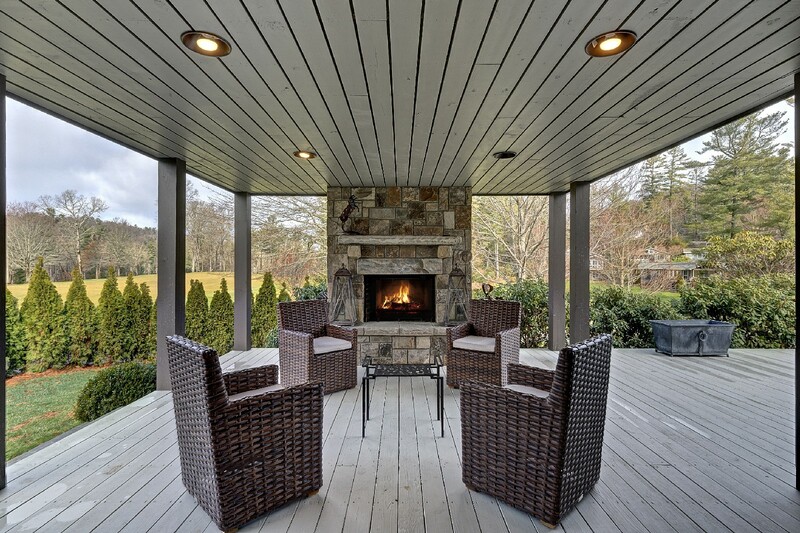 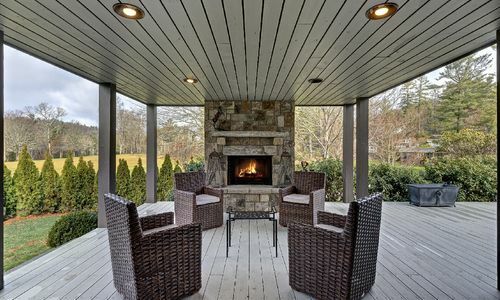 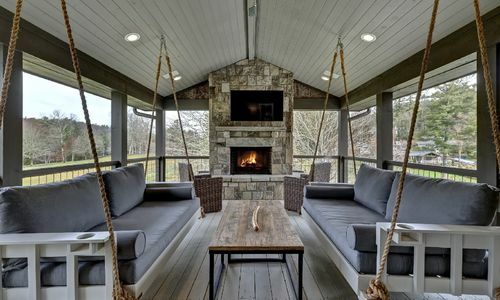 Entertain guests or relax with a glass of wine on the wrap around porch featuring open and covered areas and two fireplaces. 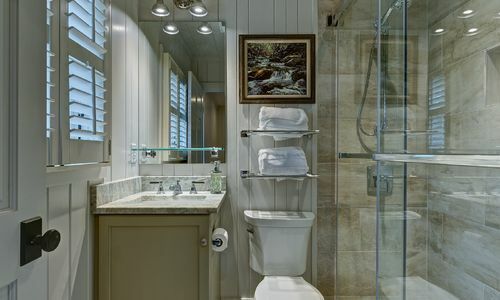 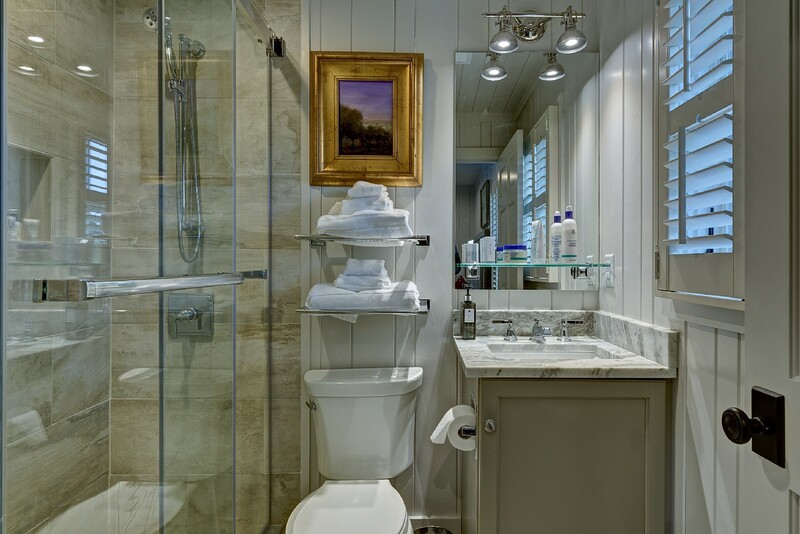 Two private guest suites each with its own upscale bath with quartz countertops, tiled showers and heated floors offer luxury quarters for your visiting friends and family. 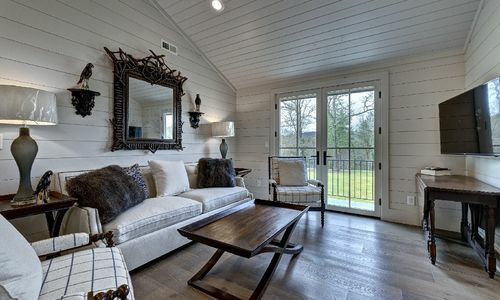 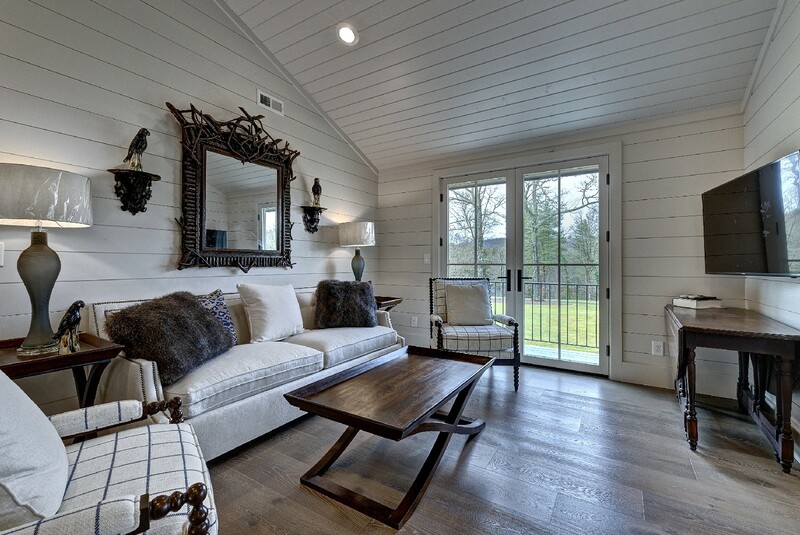 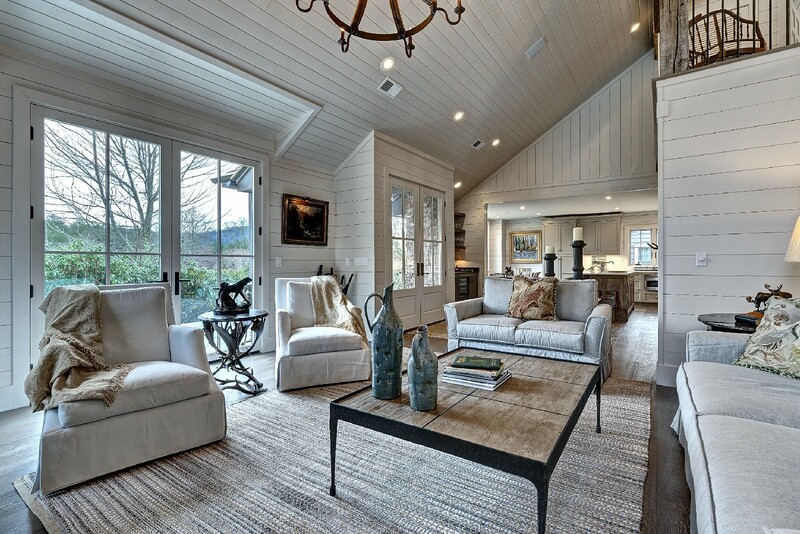 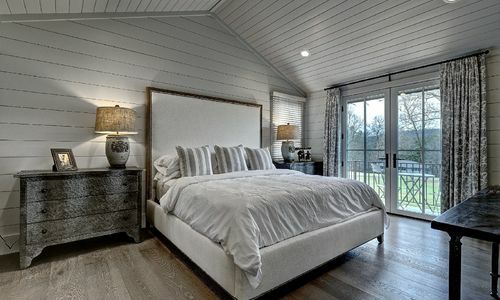 One of the guest suites also provides access to the covered porch. 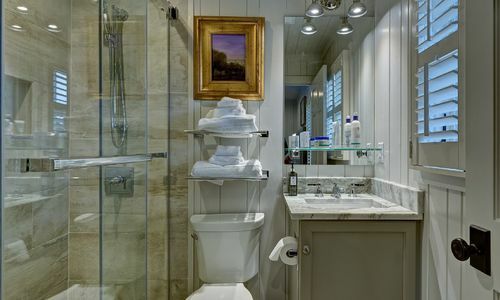 The upstairs of this magnificent home features a large master suite with separate his and hers baths. 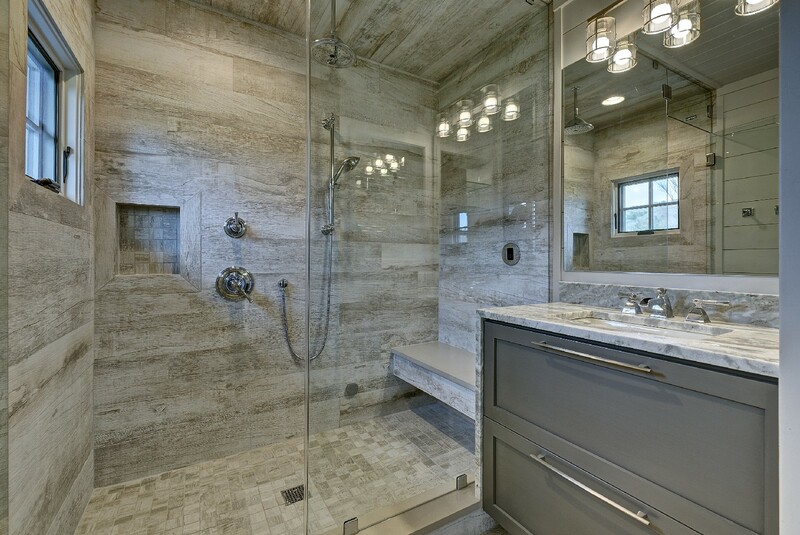 Both baths have heated floors and quartz countertops. 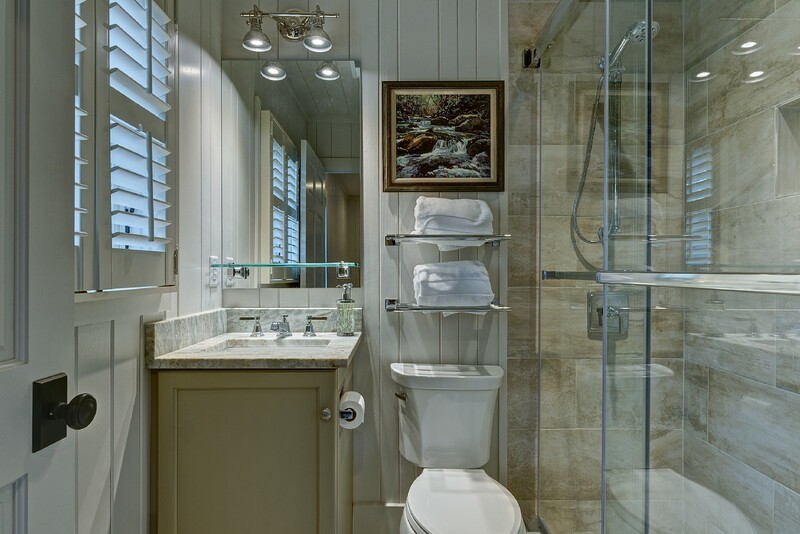 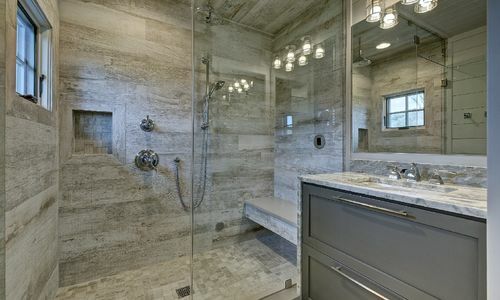 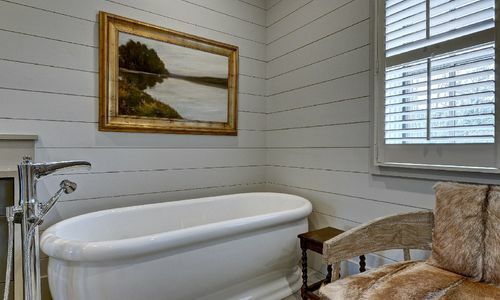 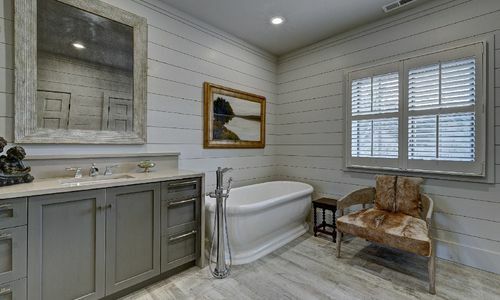 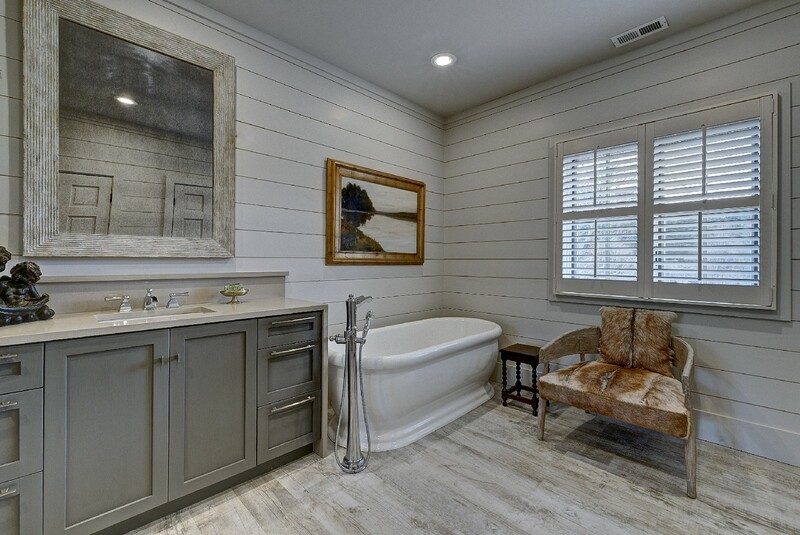 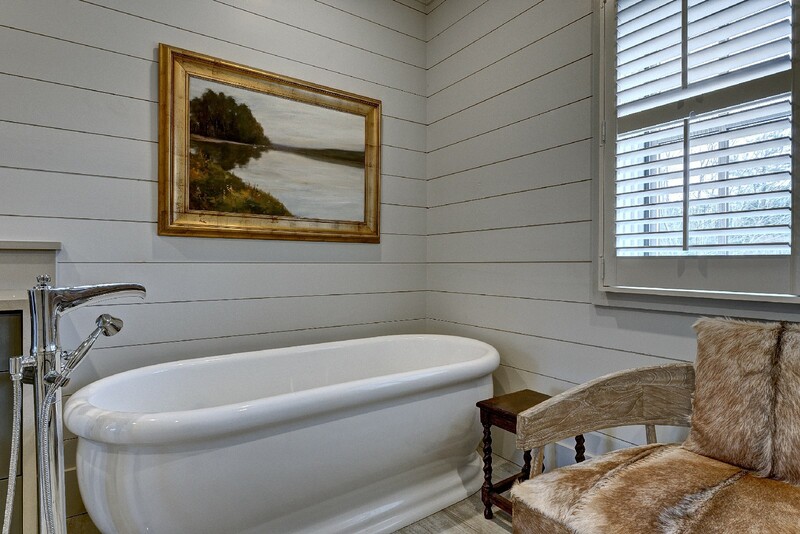 In addition, his bath has a large steam shower and hers provides a wonderful soaking tub. 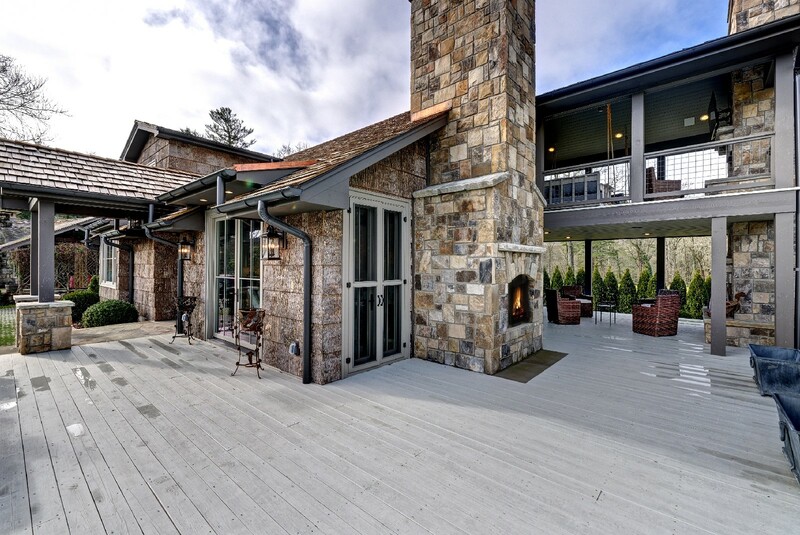 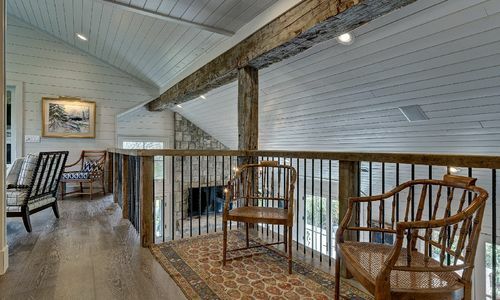 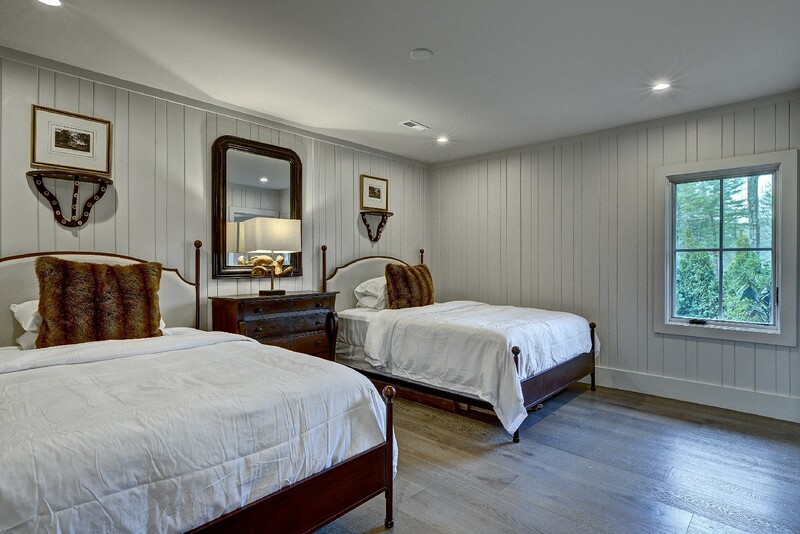 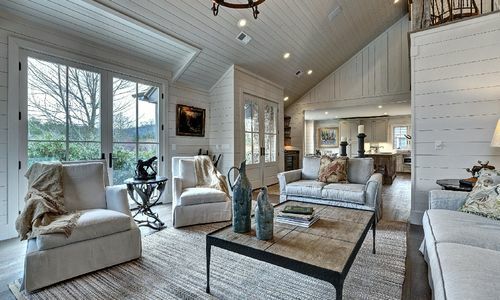 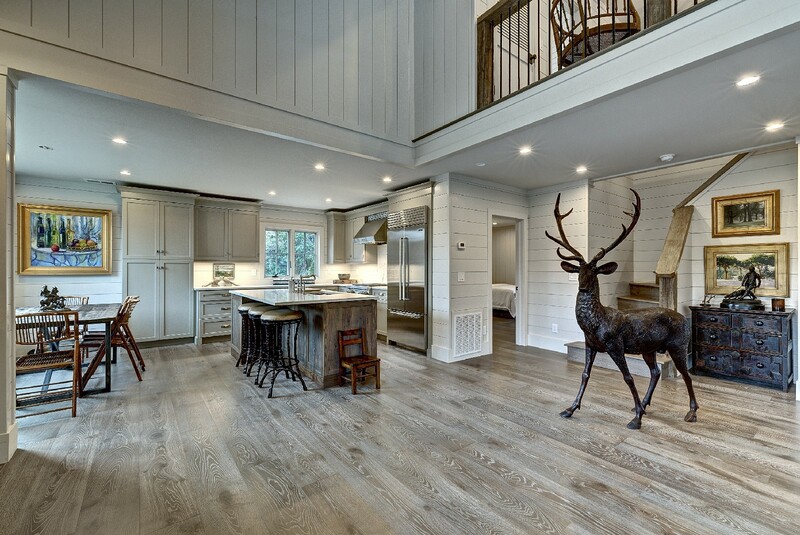 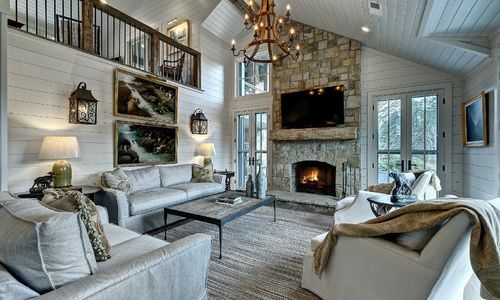 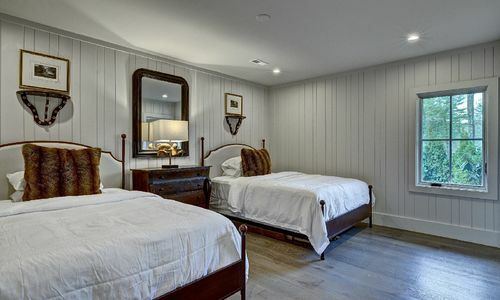 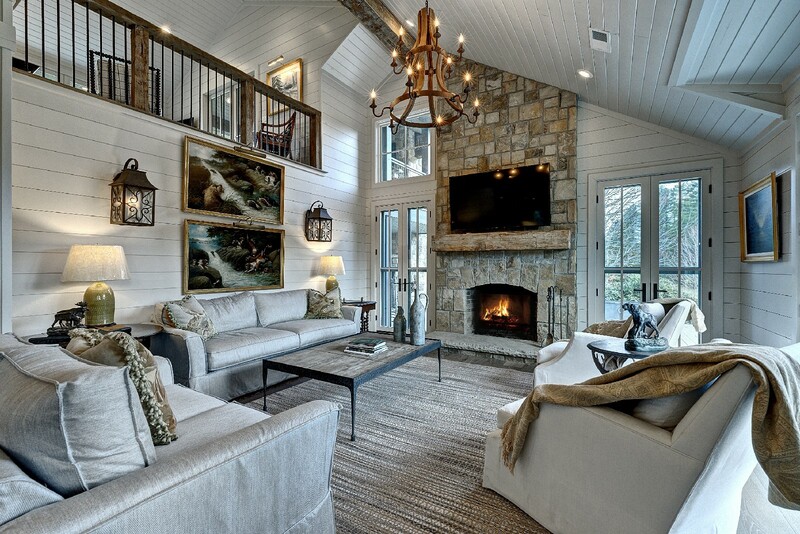 The upstairs master area also has a balcony to overlook the golf course, a wonderful sitting area and access to a sleeping porch with another stone fireplace where you can relax with a book or soak in the sunsets and beautiful mountain views. 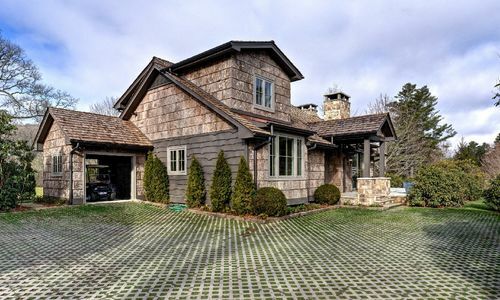 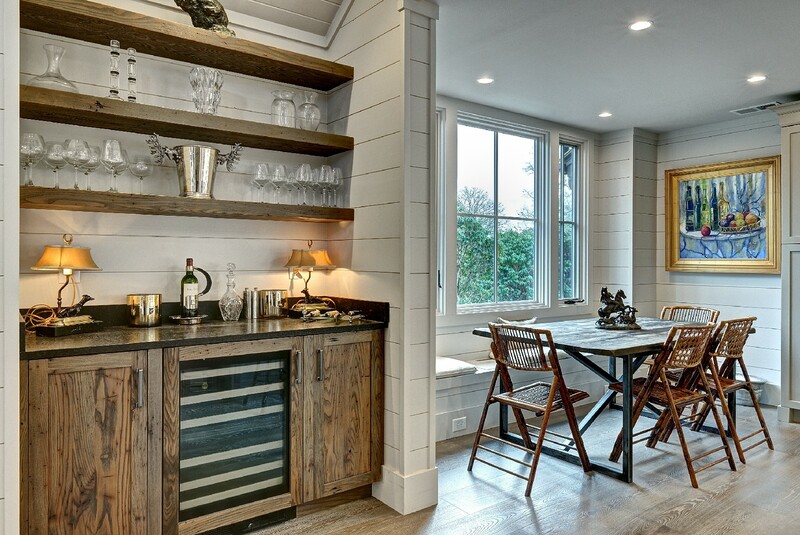 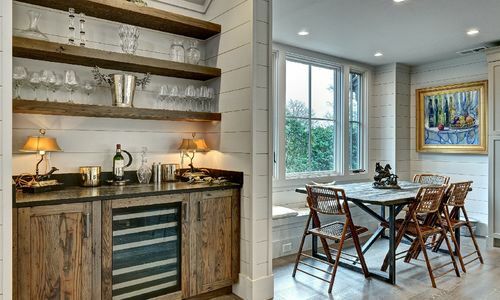 This one of a kind cottage also features private golf cart storage plus an eco-friendly permeable paver system for the driveway allowing ample parking for four cars. 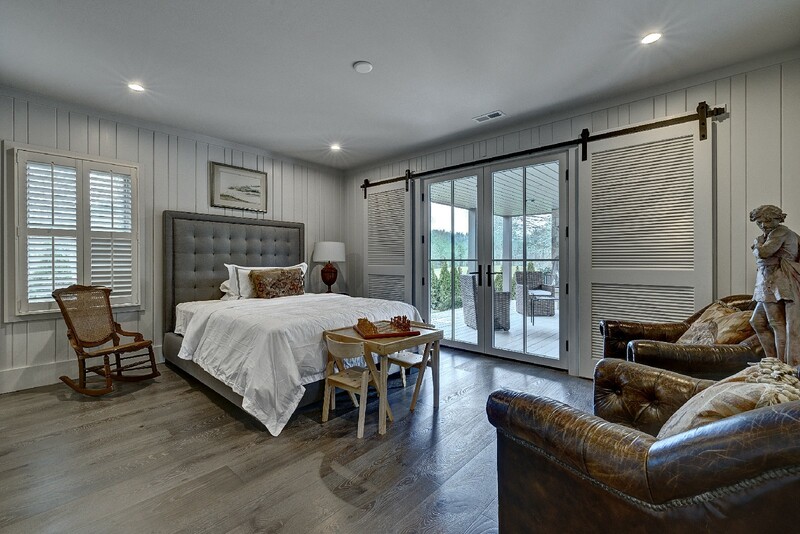 A whole house generator provides you comfort and security even during power outages. 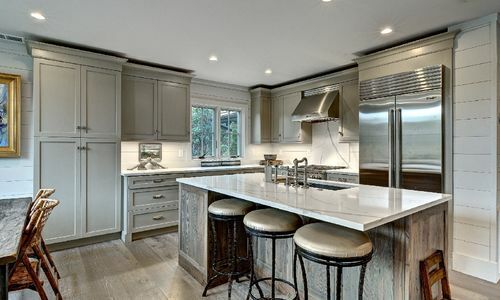 This one will not last long…don’t miss your opportunity to own this fabulous, one of a kind cottage in Highlands Country Club!